More on Fern Smiths workshops click on image below are the up and coming workshops. 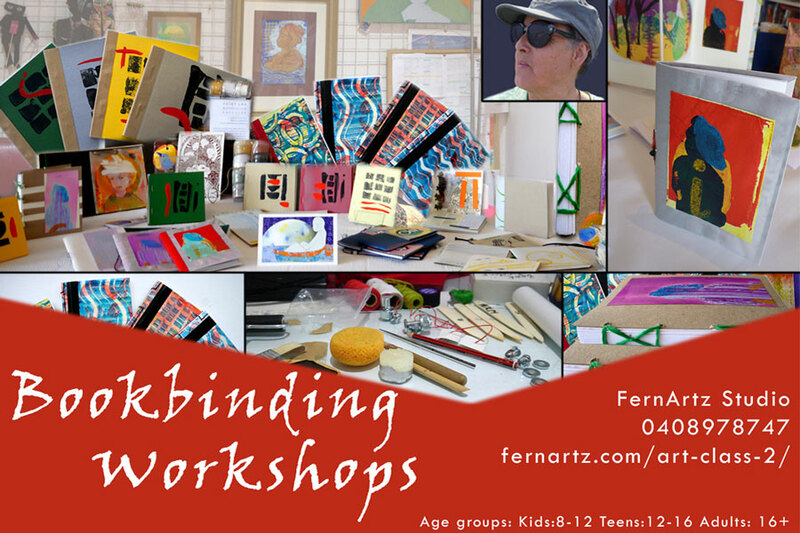 Signature Bookbinding with local artist Fern Smith. 20 Murray Rd, Coburg North, Victoria 3058. Introductory bookbinding with local artist Fern Smith from the ancient scroll to the modern art house methods.